The City of Caro is located in the heart of Tuscola County. The community is home to many historic buildings and is proud of its rich history. 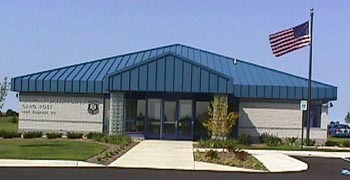 Caro is the county seat of Tuscola County and services the citizens of the area. The city is primarily a retail and commercial center but is also home to the first and only Ethanol plant in Michigan. Caro is only 30 minutes from Saginaw, 45 minutes from Flint, and well under two hours from Detroit. Lake Huron surrounds the peninsula that Caro is located on and many fine fishing spots can be found in the area. Check out our Annual Cars & Crafts Weekend held the first weekend in June in downtown Caro. You can also stop in for one of our signature events such as the Pumpkin Festival, Farmers Market, or the Gingerbread Fest. Come visit Caro, a small town feeling and friendly atmosphere with a slower pace of live, you won't want to leave. If you're interested in Caro homes; please fill in the form to the left and an agent will contact you soon!